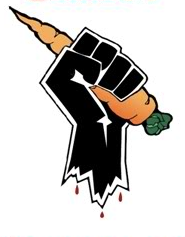 The Carrot Crunch is a Blood Bowl tabletop event held in the heartland of Suffolk every summer. It is ran by members of the Sudbury and District wargames club and get blood bowlers from all over europe attending. In the 6 years that the event has been running we have seen 93 different coaches come to play. The event is a two day tournament set over a weekend and is NAF ranked. Click on the Carrot to access the website.